Should peanuts be banned from planes? Peanuts are a common food allergy, and many people are weighing in on whether they belong on planes. (CNN) -- Aimee Katz Zipkin, the mother of a 3-year-old girl with a severe peanut allergy, has been too afraid to get on an airplane with her daughter, worried that passengers enjoying the snacks could endanger the child. "If you so desire, take a bath in peanuts," she said, "but if you're 30,000 feet up and someone has an allergic reaction, then the plane is going to have to go into emergency landing in God knows where, so why would you want to take that risk?" The U.S. Department of Transportation's recent proposals for improving air travel include the possibility of banning packets of peanuts to accommodate those allergic to the nuts. "The Air Carrier Access Act prohibits discrimination by U.S. and foreign air carriers against individuals with disabilities," the proposal reads. "Airline passengers with severe allergies to peanuts have a qualifying disability." The DOT wants to hear from the public about this and is considering four alternative plans of action. Should it ban peanuts from aircrafts outright; provide a peanut-free flight when requested in advance; install a peanut-free buffer zone around a passenger; or do nothing? Allergy to peanuts and tree nuts is the leading cause of fatal and near fatal food-allergic reactions. About 1 percent of the general population is affected by peanut and tree nut allergies, according to the National Institute of Allergy and Infectious Diseases. "Most deadly and almost deadly episodes are caused by ingestion," said Dr. Anna Nowak-Wegrzyn, associate professor of pediatrics at Mt. Sinai School of Medicine's Jaffe Food Allergy Institute. "But we also know that if a patient is extremely sensitive or allergic then inhaling food protein can also produce a significant reaction." The most effective plan for peanut allergy sufferers would be a total ban on airplanes, not just a clean flight or buffer zone, she said. "The issue is the air," she said. "It's a small, confined space and the air is re-circulated. If people five rows behind you are releasing peanut dust it doesn't matter, at the end of the flight the peanut is in the air everywhere." Nowak-Wegrzyn added that there hasn't been any systematic study on peanut allergic reactions on flights. Hundreds of comments regarding the issue have already been submitted on both regulations.gov and Cornell University's Regulation Room, sites that provide users an opportunity to have input in federal decision making. 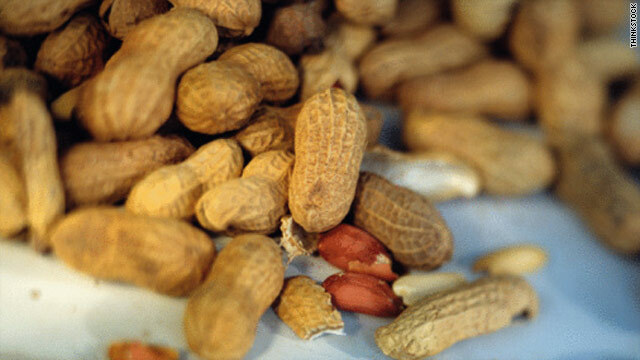 "My son has an anaphylactic reaction to peanuts," one commenter, Tomas Scott Phillips, wrote. "I find it very dangerous to serve peanuts on airlines as it is much harder to treat this reaction when you are 35,000 feet in the air." Lisa Beth Mckenna agreed, writing that her son has an airborne allergy to peanuts and because of this her family hasn't flown for almost 15 years. However, others don't see why the food allergies should prompt changes. "This should not even be considered," Doug Eury wrote. "I know friends and family members with peanut allergies and they consider such a ban on airplanes as an unnecessary imposition on others. They know how to take reasonable precautions without having to have the 'nanny-state' protect them at the inconvenience of the majority of travelers." One anonymous commenter wrote, "Banning peanuts is ridiculous. Are you going to pull them out of restaurants? I resent having to bend my life for everyone else's issues. If they don't eat the peanuts, they will not have a severe reaction." Some, including Rep. Bobby Bright, D-Alabama, are more concerned that taking peanuts off planes could involve a great risk -- specifically to jobs. "The American peanut industry benefits tremendously from its business with airlines throughout the world," Bright wrote in a letter to DOT Secretary Ray LaHood. "[S]uch a regulatory change would undoubtedly have a negative impact on the industry and the tens of thousands of jobs it supports." Alabama is third among states in peanut production in the United States. Russell Barker, president and CEO of the Peanut & Tree Nut Processors Association, like Bright, called the proposal a case of federal overreach. Both are asking for research to be done before any decisions are made. More than 10 years ago the DOT tried to issue similar guidelines for airlines to create peanut-free zones, but Congress said it wouldn't proceed without a scientific study. "Let's get the scientific research and prove that it is dangerous and then it'll get my attention," Barker continued. "Nothing so far has shown me that traveling on an airplane with peanuts is dangerous." To submit your own comments on the issue visit the Regulation Room or regulations.gov.